The best way to understand Craft Sushi is to think about it as Chipotle but for sushi. 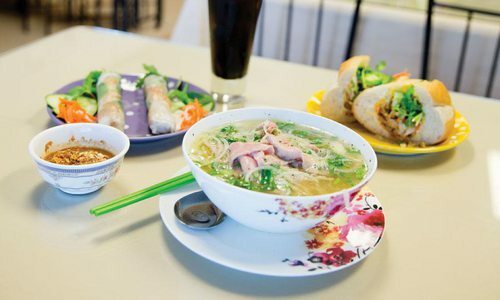 It’s fast-casual Asian-inspired fare, with an emphasis on fresh, healthy ingredients. Instead of burritos and tacos, there are poke bowls and sushi rolls. Instead of pico de gallo and corn salsa you can order Sriracha mayo and poke sauce. Instead of asking if you want chips with that, they’ll ask you if want to add crispy tempura bits. The answer is yes, yes you do. But, I’m getting ahead of myself. Craft Sushi is the brainchild of husband-and-wife team Jenny and Michael Cho. Jenny is the managing partner who handles the day-to-day operations of the restaurant, while Michael helps some with training and finances. He is also the head of hospitality at Hickory Hills Country Club. Craft Sushi had already been open for a couple of months when I decided to check it out. I loved that there was a totally new concept in town. 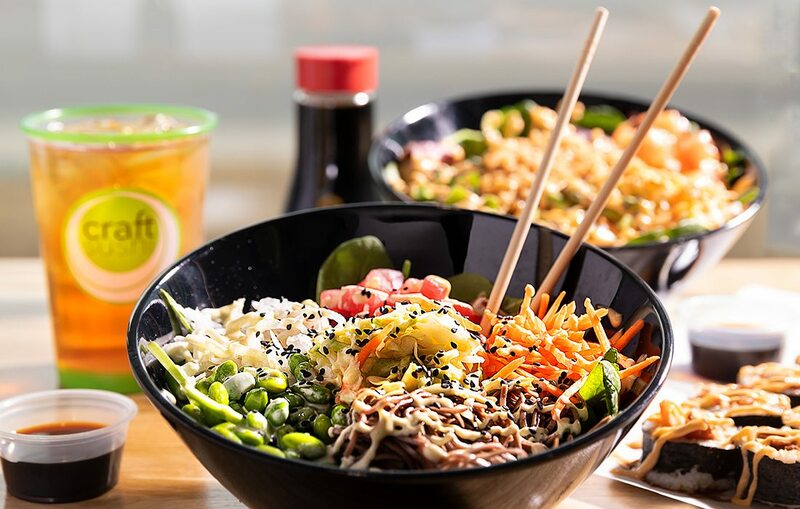 I knew poke bowls were one of the main offerings of the restaurant, so I called my poke-fanatic friend Ben Swope and his 9-year old daughter, London, whose favorite food is (no joke) raw tuna. When we got there, we didn’t know what to expect, and it took us a few minutes to figure out how to order. Luckily, there was a very nice young gentleman who was kind enough to explain all of the options and guide us through the process. You start by picking your style. You can order a roll or a bowl. You then choose from white rice, soba noodles or quinoa as your base. Ben and London both ordered rice bowls, while I opted for the soba noodle bowl. Once you’ve figured out your basics, you choose your protein: tuna, salmon, marinated sliced beef or spicy pork. Since I am not the biggest raw fish fan, I decided to go for the spicy pork. London got tuna, while Ben decided to double down on his fish obsession and order tuna and salmon. Next came the veggies. Here’s where I really became a fan of Craft Sushi. There are lots of options, and you can choose as many as you want. And the variety of the options is appealing, as well—edamame, pickled daikon radish and asparagus are just a few veggies you can add to your dish. All three of us loaded up on veggies. Then it came time for the best part: sauces. There are six house-made sauces you can choose from. I loaded up on Sriracha mayo, but the wasabi aioli and Thai chili sauce also sounded yummy. Finally, we all topped our dishes off with lots of crunchy tempura bits. They had recently come out of the fryer, so they were extra crispy and delicious. All three us decided to get bowls, but you can build a roll the same way. If this process sounds like an overload of options, don’t fear. Craft Sushi also offers several signature craft rolls to choose from. The I’m Cravin’ Korea roll, which is made with marinated beef, pickled slaw and apple, caught my eye for another day. In addition to the almost endless entree options, Craft Sushi offers a variety of infused sweetened and unsweetened iced teas. We tried the strawberry mango, which was sweetened, and the mango peach, which was unsweetened. The strawberry mango was a bit sweet for me, but the mango peach was quite refreshing. As we finished our meal, we all remarked how full we were. The best part? The entrees each cost about $10. Quite the steal for a meal full of freshness and flavor. 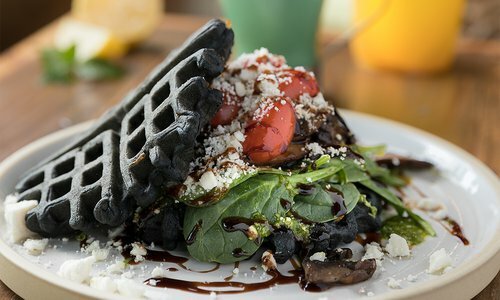 Craft Sushi sources many of its ingredients from local farms, like greens from Urban Roots Farm. 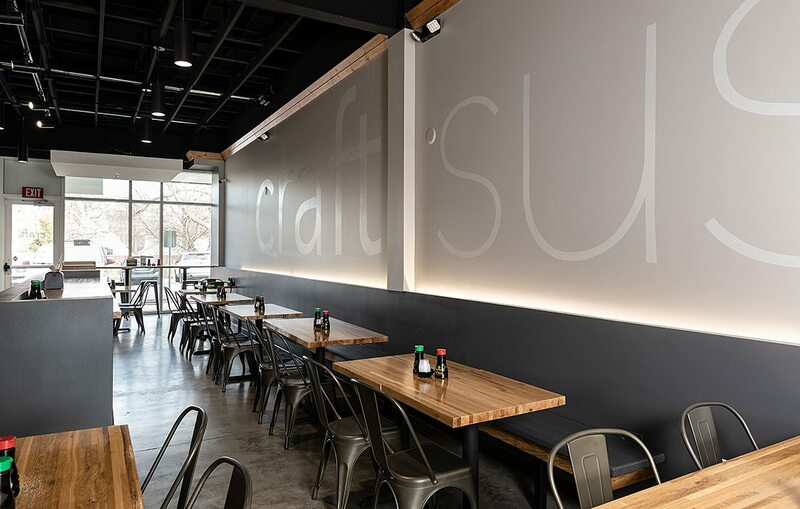 Whether you’re a vegan, on the keto diet or are gluten intolerant, you can easily customize your meal to meet your dietary restrictions at Craft Sushi. Follow @craft_sushi for drool-inducing shots of sushi and weekly specials. Open Mon.–Sat., 11 a.m.–8 p.m. 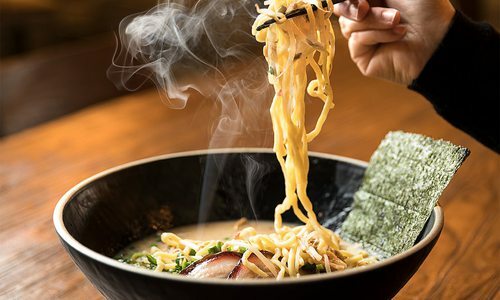 The husband and wife team behind Haruno, Kai and Koriya enter the ramen game.